Join our Study group to learn more! This study group will meet twice a month (or as decided by the group.) The goal is to give teachers support as they examine their current assessment practices and make improvements based on the latest research. Of course, the overall goal is to improve student learning! The first meeting will be in room I-22 at Jefferson Elementary Center on February 25th at 3:45. Our future meeting schedule and location may be modified depending on the group members. The tone of the meetings will be discussion based and participant directed. For whom is this study group intended? This group is intended for any teacher or administrator employed by Wood County Schools interested in learning more about how formative assessment and standards based grading can improve student learning. 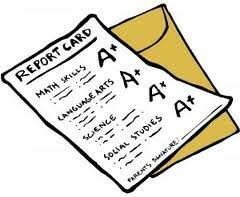 Please indicate the grade level and subject you teach as well as where you teach. OR Click here to sign up electronically. The sooner you sign up the better so I can order your book and know how many to expect. Group is limited to 10 participants! First come, first served! I prefer to end registration on the first meeting date but I'm open to late-comers. What if I start the class and decide its not for me? That's fine, you can even keep the book! Its best if you do, but we'll understand if you have to miss. The stipend is around $20.00 per hour. Send me an email and I'll answer your questions or give you a call. A blog by an outstanding science teacher who shares ideas and resources for SBG and project-based learning.